Associate Professor, Dr. Brian Lain, created a course titled “Zombies as Rhetorical Figures” which recently won the Outstanding Online Teacher and Course Award from the Center for Learning Experimentation, Application, and Research (CLEAR). The University of North Texas Debate Team competed March 20-24, 2019 at the 2019 Pi Kappa Delta National Tournament hosted by Hofstra University. The tournament featured over 750 competitors from 77 universities/colleges that represented 28 states from across the United States. 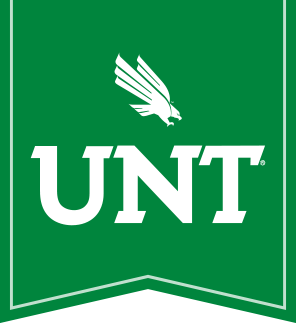 The University of North Texas was represented by 13 team members and they competed in 4 debate events and 2 individual events. Congratulations to Associate Professor, Dr. Holley Vaughn, for winning the Outreach Award from the Southern States Communication Association. Dr. Mark Hlavacik was recently quoted in the literary and cultural commentary magazine, The Atlantic. In November 2018, at the National Communication Convention in Salt Lake City, UT, Dr. Jay Allison was the recipient of the Performance Studies Division’s Distinguished Service Award. UNT Debate wins BACK to BACK State Championships! Dr. Suzanne Enck is an Associate Professor for the Department of Communication Studies and is currently on Faculty Development League for the Spring 2019 semester. We caught up with her for a quick Q&A before she left campus! Rebecca Boneau (M.A., 2018), along with co-authors Dr. Brian Richardson and Dr. Joseph McGlynn, recently learned their study, “’We are a football family’: Making sense of parents' decisions to allow their children to play tackle football” would be published in Communication and Sport journal. Dr. Brian Richardson recently presented his research in London, England, at the “Exposing Secrets: The Past, Present, and Future of U.S. National Security Whistleblowing and Government Secrecy” conference. On November 8th, more than 25 alumni and 30 students attended our first-ever Communication Alumni Mentorship Program (CAMP) event, held in the University Union. The purpose of CAMP is to pair students with alumni mentors who can provide advice on important topics, including networking, job interviews, professional communication, and career goals.